After prolific growth on social media, Komal Kapoor is utilizing her perceptive understanding of romance in the digital age to present her first collection of poems. Unfollowing You tells a chronological tale of a modern love through a series of poems, prose, texts, screen grabs, and unsent letters. Exploring digital phenomena like swipe culture and technological realities, Kapoor’s words affirm experiences and sentiment echoed across many media platforms. 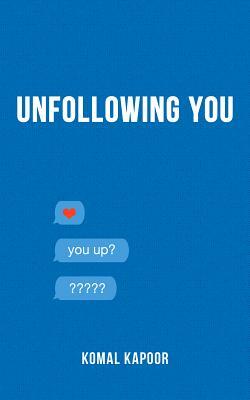 Unfollowing You is separated into two parts: “Following You” details how the two protagonists fall in love and “Unfollowing You” shares their heartbreak. The realism of this collection will encourage readers to normalize growth and indulge in their feelings, even finding strength in them.